Completed early in 1975, this road legal Stratos HF was sold new to Palermo resident Guid Bignardi. He cherished the car for three decades and it finally passed the hands of the second owner in March of 2005. The next custodian would 'only' own the car for ten years. 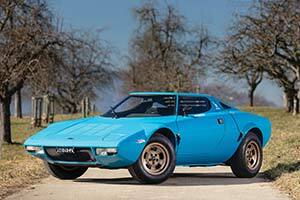 After nearly 5 years of ownership, the third owner consigned the Stratos to RM Sotheby's first Techno Classica sale. The car's three owners only used the car sparingly and at the start of 2019, it had covered only 11,800km. Accordingly, it remains in highly original condition.